This month marks 40 years since Bob Moore and his wife Charlee bought an abandoned Oregon mill and started producing whole grain products. Today, the company is a vocal supporter of whole grains, and a great source of cooking and recipe inspiration here at the Whole Grains Council. This month marks 40 years since Bob Moore and his wife Charlee bought an abandoned Oregon mill and started producing whole grain products – long before they were mainstream or trending. Today, the company is a vocal supporter of whole grains, and a great source of cooking and recipe inspiration here at the Whole Grains Council. To celebrate this four-decade milestone, we’re sharing our ﬁve favorite whole grain recipes from Bob’s Red Mill. 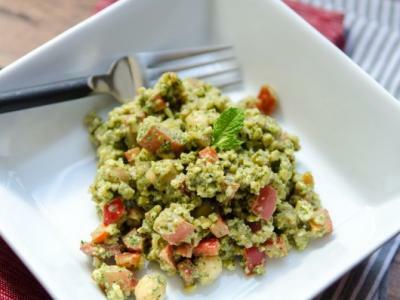 Lemon-Mint Freekeh Salad. This tabbouleh-inspired salad is fresh and zingy. It was so popular at our Whole Grains Conference in 2014 (and again in 2018) that we had to get the recipe! With smoky freekeh, hearty chickpeas, and a brightness from lemon and mint, this recipe will quickly become one of your favorites, too. Whole Grain Power Bars. Whether it’s breakfast or a snack, a wholesome power bar is one of the best ways to eat your grains when you’re on-the-go. This recipe oﬀers a triple dose of whole grain goodness, with oats, quinoa, and whole wheat ﬂour. Honey Whole Wheat Bread. Is there anything better than a slice of warm, freshly-baked bread? With this simple recipe, you could be slicing up a delicious whole wheat loaf in no time. Whole Grain Corn Muﬃns. Fluﬀy, light, and just barely sweetened, these corn muﬃns are a crowd-pleaser. Be sure to use whole grain cornmeal along with the whole wheat pastry ﬂour in this recipe. Ginger and Onion Whole Grains and Beans Soup. With aromatic garlic and ginger, this hearty whole grain soup is slightly spicy and perfectly warming. Enjoy a bowl on a cold winter’s day! 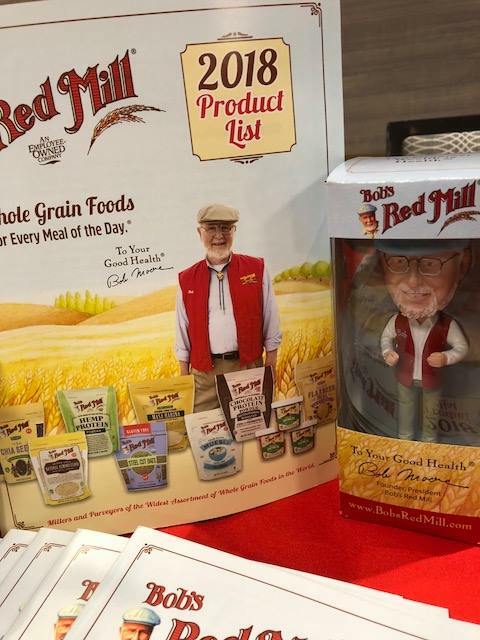 Happy 40th, Bob’s Red Mill! Here’s to many more (whole grain-ﬁlled) years to come.